People in Indian-administered Kashmir aim their anger at security forces as death toll and eye injuries mount. 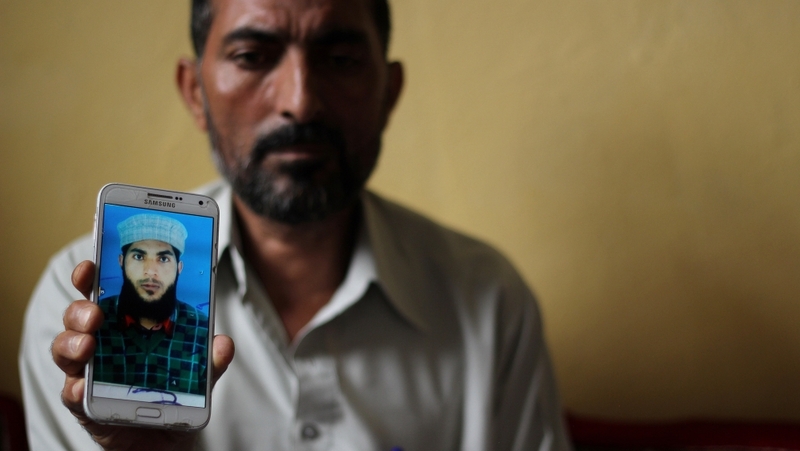 Srinagar, Indian-administered Kashmir – For Abdul Rehman Mir, the grief over the death of his son has turned to anger. He is sitting on the living-room floor of his small family home in the Tengpora neighbourhood of Kashmir’s summer capital, Srinagar, surrounded by nearly 30 neighbours. His son Shabir, 24, was killed by police on July 10 – two days into the mass protests against the Indian security forces’ killing of Kashmiri rebel commander Burhan Wani. Mir begins to open up, explaining how on the evening of July 10 his family was watching television and drinking tea after returning home from the nearby mosque. He heard shouting outside, he says. From an upstairs window, he witnessed police officers smashing the windows on the ground floor of the house. They broke in and fired tear gas, he says. “I asked why they were firing tear gas on us. What have we done? We are inside our home. Aren’t you Muslims [like us]?” he remembers. Mir’s face was contorted with anger as he narrated the events that led to his son’s death. He added that the police beat him and his wife, Shahazada Banu, 47. When Shabir tried to step in, “they shot him in his stomach in the corridor near the main door”. “My son tried to escape through the window, but security forces ran after him and fired a second shot in his stomach. He took a few steps and then fell down,” he said with his eyes fixed on the wall. Shabir was the second of Rehman and Shahazada’s five children. As a tile mason, he was the family’s breadwinner. Local men gathered around said that on the evening of Shabir’s death, there were no protests taking place outside Mir’s house but some youths who had been protesting nearby had come to the area to take shelter from the security forces. 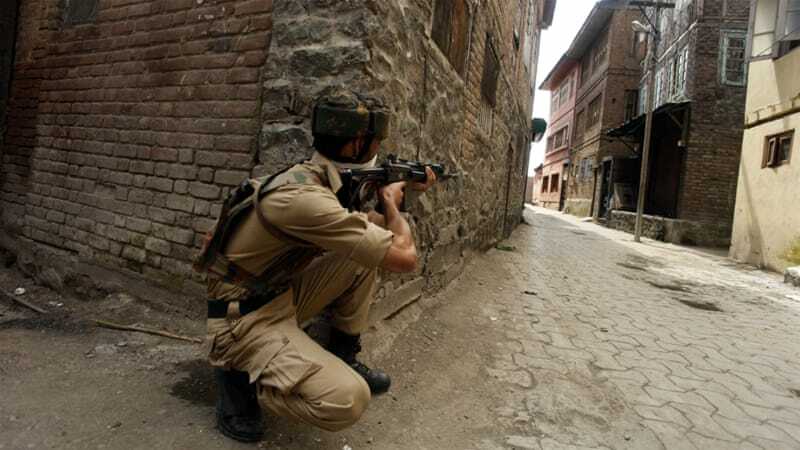 The Mir family says they tried to file an official complaint called a First Information Report (FIR) against a senior Jammu and Kashmir police officer, who they say shot Shabir, at the local police station, but the police refused. The state’s high court then ordered a contempt notice against the Inspector General of Police (IGP) and the Senior Superintendent of Police for refusing to lodge the FIR. But India’s Supreme Court revoked that order a few days later and has since ordered an investigation into the killing. Shabir’s body has now been exhumed and a post-mortem completed as part of the investigation. The results have not been made public yet. Al Jazeera called the IGP, Syed Javaid Mujtaba Geelani, several times, but he refused to comment and hung up after saying, “I don’t have time to talk to you right now.” Repeated attempts by Al Jazeera to reach him over the phone were unsuccessful. “The [successive] governments [India’s federal government] have made it impossible for justice to be delivered,” says Khurram Parvez, the programme coordinator of the Jammu and Kashmir Coalition of Civil Society (JKCCS). “The violence that was perpetrated in Jammu and Kashmir and continues to be perpetrated today is institutional,” adds Parvez, whose organisation documents human rights violations in the state and provides litigation for its victims. Wani’s story has become legend. He was a 15-year-old high school student with good grades when the security forces approached him and his brother Khalid. Although Khalid bought them cigarettes, as requested, they still allegedly beat him and broke his bike. Wani stopped his studies and joined the armed group Hizbul Mujahideen, which wants the region to become part of Pakistan and is designated a terrorist organisation by India, the United States and the European Union. Tens of thousands of mourners attended Wani’s funeral and protesters poured onto the streets. “Wani will recruit more people from his grave than when he was alive,” says Umair Gul, who has been researching India’s armed groups at Jamia Millia Islamia’s Nelson Mandela Centre for Peace and Conflict Resolution in New Delhi. FAST FACTS: Who claims what? 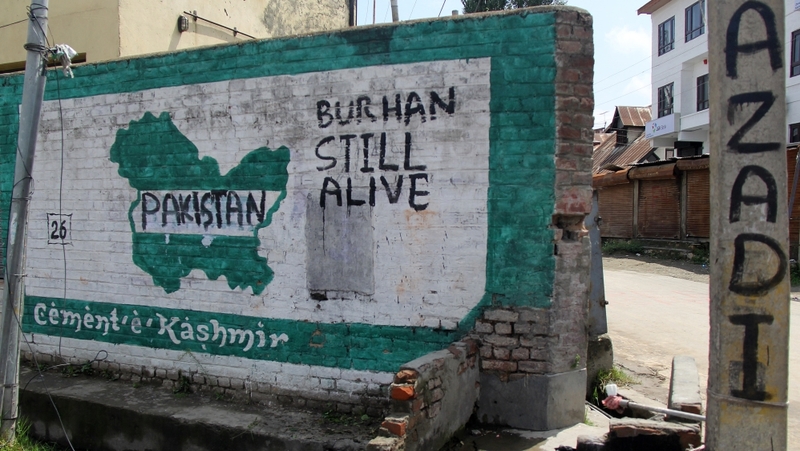 His name is seen and heard all over Kashmir, in the graffiti that declares “Burhan Bhai [brother] Freedom Fighter” and “Burhan [is] still alive” and from the loudspeakers of mosques that blare songs extolling him. Nineteen-year-old protester Umer explains: “Burhan Wani wasn’t a terrorist. He was a freedom fighter. “He was to us what your Gandhi was to you,” Umer, who used one name for the fear of being identified, told Al Jazeera in the Nowhatta area of downtown Srinagar. 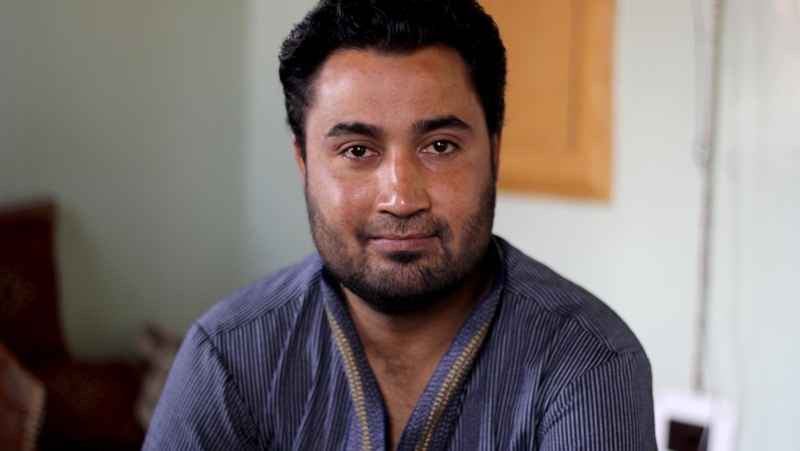 “There’s no other solution,” Faizan, who also uses one name for security reasons, says. “They’ve been committing crimes against us since 1947. So many boys have been martyred, injured. These [security forces] are the supporters of the Indian government. They come to our mosques. They break our windows. They come into our homes when we’re praying. They beat our mothers. They beat our sisters. We want to take our revenge against the Indian government. Faizan’s target is a group of about 20 Central Reserve Police Force (CRPF) paramilitary personnel standing a few hundred metres away with polycarbonate shields to protect them from the stones. The sub-inspector’s words echo the mainstream Indian view of Kashmir’s history and the current government line. The Hindu nationalist Bharatiya Janata Party (BJP), which is in power in New Delhi, is part of the coalition government in Jammu and Kashmir for the first time in the state’s history. It draws its support from the Hindu majority population of southern Jammu region of the state. The BJP’s Nirmal Singh is the state’s deputy chief minister. “Pakistan has not accepted the reality that Jammu and Kashmir is an integral part of India,” he tells Al Jazeera. When asked how he feels about the graffiti that reads “Indian Dogs Go Back”, Sub-Inspector Hari Om, in a softly spoken manner, says: “This may be another country’s propaganda to misguide people.” He is referring to Pakistan. 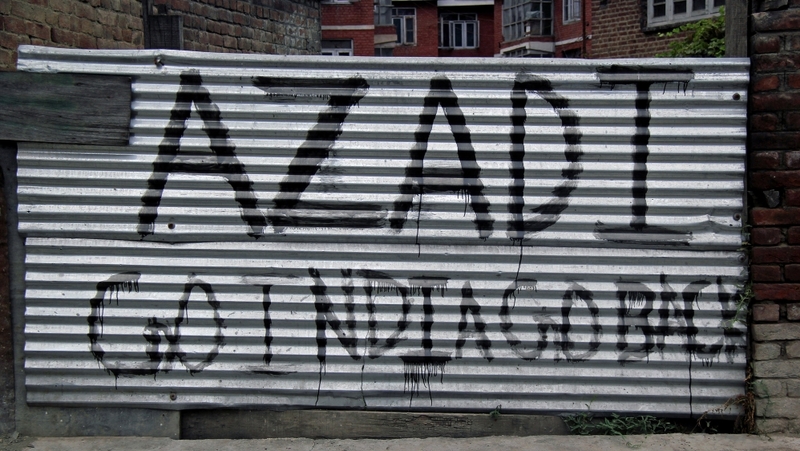 The Indian government often refers to Kashmir as its “atoot ang” – an unseverable limb or an integral part. 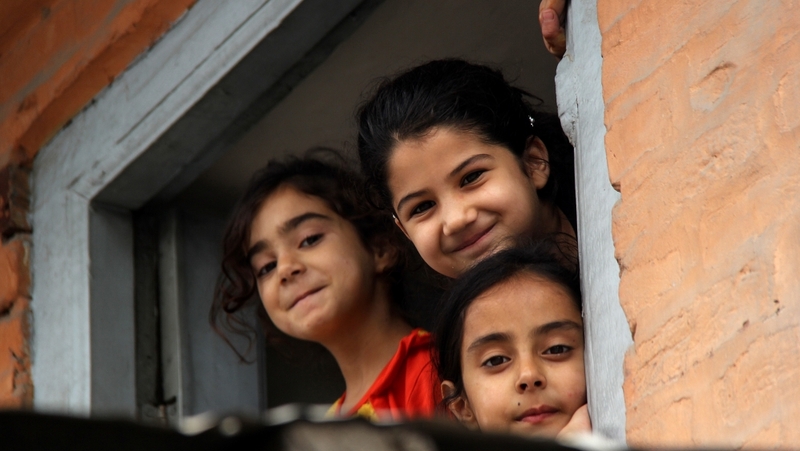 Most Kashmiris seem to feel differently. In his partially shuttered newspaper stand in central Srinagar’s Lal Chowk area, 40-year-old Ahmed Mizgar says he has lost a lot of money since July 8. “The central government says you are an integral part, but it doesn’t consider us their own people. It doesn’t care about Kashmiris. It wants the land, not the people,” he told Al Jazeera as he looked despondent. Lal Chowk would usually be teeming with activity on a Sunday afternoon but the government imposed a strict curfew after Wani’s killing to keep people off the streets. “They [the government] impose a curfew and say this is a law and order problem. It’s not. It’s a political dispute. They have to solve it politically. They have to talk to us, but they only kill and injure us,” says Mizgar. Srinagar’s Shri Maharaja Hari Singh Hospital is filled with victims. 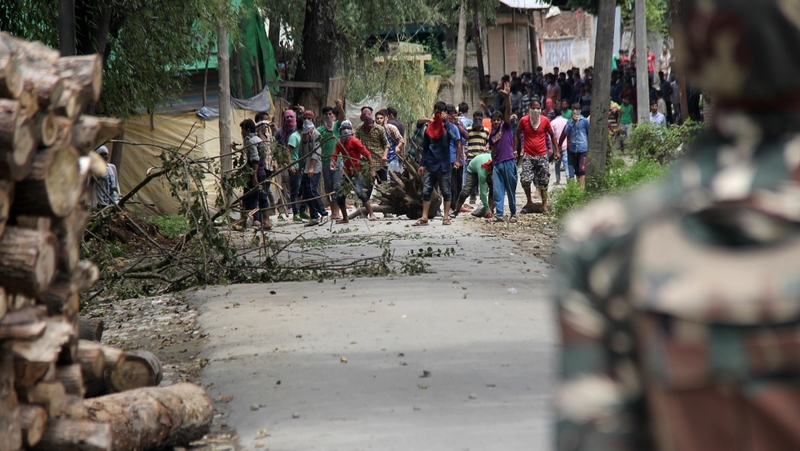 Nearly 500 people have been treated for serious eye injuries since the violence broke out. The medical report and X-rays by his bed show multiple pellets in his heart, lungs and stomach. Mohammed’s cousin, 20-year-old Amir, says Mohammed was throwing stones at security forces during protests in the Imam Sahib village of Shopian district, when security forces retaliated by firing pellets. Amir says Mohammed doesn’t have the energy to speak. When asked if he will protest again, Amir answers for him. “What has he got to lose?” he says. Doctors don’t know whether he has lost the vision in his right eye, which is swollen shut. “If God wishes and my eye heals, I will protest again,” Mehraj says. 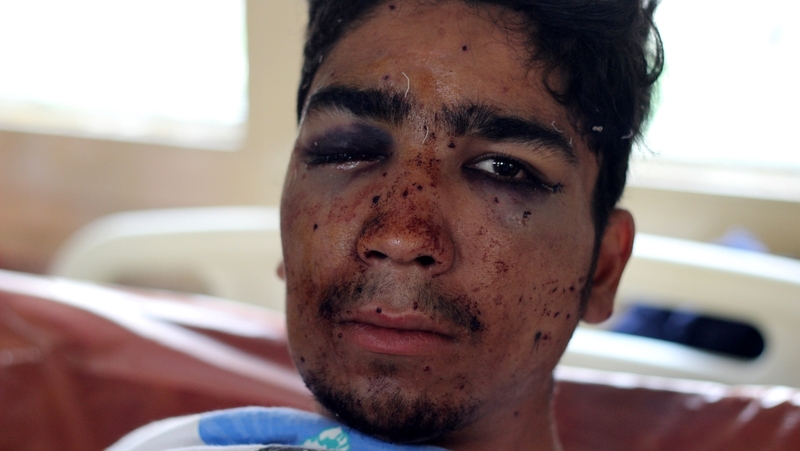 Dr Yousef, 27, says the hospital has treated thousands of pellet injuries since July 8. “Most of them … are above the waist. They’re on the chest or head, the eyes. They have specifically targeted the eyes,” he explains. The CRPF spokesman Rajesh Yadav says the paramilitary troops only use pellet guns when they absolutely have to. “Troops are not here to target innocent civilians. CRPF has maintained the highest level of restraint so far. If somebody’s getting injured or there’s a casualty, that is only when they are getting very close to the camp,” he adds. Yadav says between 1,600 and 1,800 officers have been injured. But when asked if Al Jazeera could visit the injured officers, he says that won’t be possible. Dr Yousef, who didn’t want his full name to be revealed, thinks the injuries won’t deter protesters. “We have even got some patients whose guts are perforated and they are asking when they can go back and join the protests,” he says. Away from Srinagar, protests in Kashmir’s southern districts, where most of the remaining rebels are based, are more violent. The town of Bijbehara in Anantnag district sits on the National Highway. 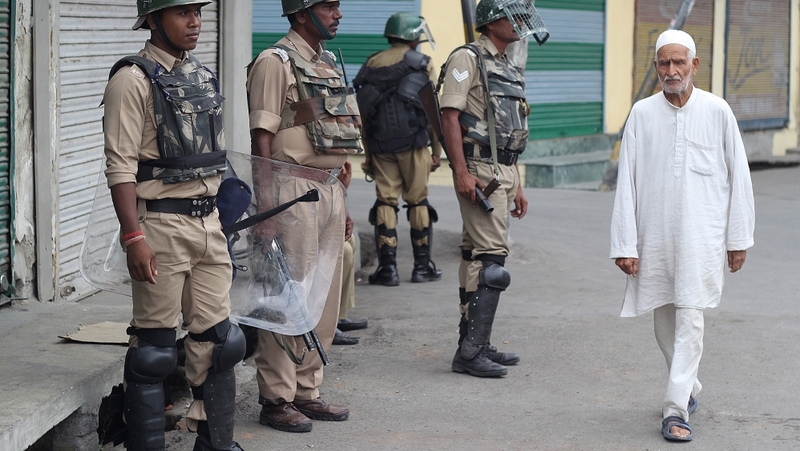 Thirty-year-old shopkeeper Atif Hassan says he has been arrested or placed in preventative detention nearly 60 times since the 2008 protests against the Indian government’s decision to transfer land for a Hindu pilgrimage site. Kashmiris saw the transfer as an attempt to settle Hindus in the majority-Muslim valley and change its demographics. Hassan was also arrested during protests in 2010, which followed the Indian army’s killing of three men it said were terrorists, but who turned out to be innocent villagers. Khurram Parvez says: “If you see the trajectory of protests in Kashmir, they are only intensifying. They’re becoming far more desperate, from the Kashmiri point of view. All around Kashmir, the chant most often heard is “Hum kya Chahte? Azadi!”, or “What do we want? Freedom!” but the problem for the many Kashmiris who are asking for the right to choose between being a part of India, Pakistan and an independent nation is that the Indian government will not allow it. The movement that does call for Kashmiris’ right to self-determination through a plebiscite is the separatist All Parties Hurriyat Conference – an alliance of political groups formed in 1993. Hurriyat is widely supported by Kashmiris, but has never been part of a government because it doesn’t contest elections, saying it won’t recognise the Indian constitution’s rights over Kashmir. Speaking on the phone from his home in Srinagar, Farooq says: “The government of India does not want to acknowledge Kashmir as a political problem because if they do that, they are on a weaker wicket because India’s political case is very weak. That’s why the government says it’s terrorism, it’s extremism, it’s Islamic fundamentalism. “Maybe the government is much more comfortable dealing with an armed resistance rather than a peaceful resistance. They don’t have 600,000 troops to fight the 100 militants. They have troops to fight the people because that’s where the real power is,” he adds. Despite Hurriyat’s popularity, Kashmiris largely ignored its call for a boycott of the 2014 state elections and turned out in record numbers to vote. The PDP-BJP coalition says this is proof that Kashmiris support their alternative of “dialogue” over the separatists’ call for a referendum. Hurriyat says elections are only for administrative purposes, and don’t address the root of political problems. “When people vote in elections, this is a vote for day-to-day issues – infrastructure, roads, water, electricity, hospitals. 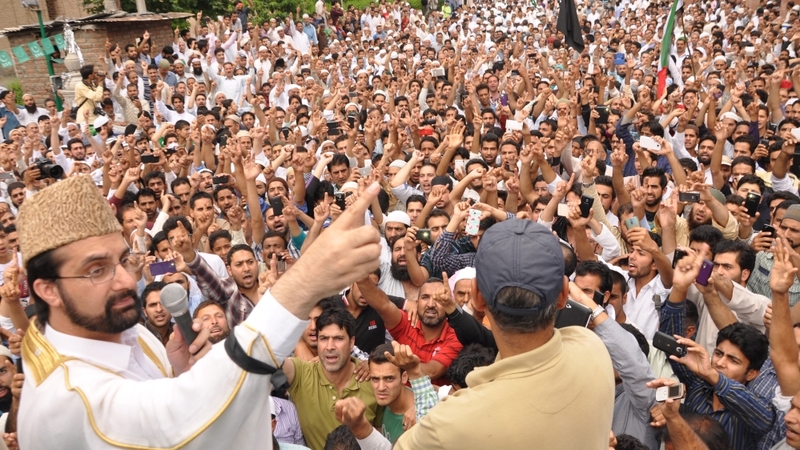 It is never a vote for India,” Farooq says. The PDP had traditionally been the defender of human rights in Kashmir. It had, according to Akhter, “galvanised those people who were living in the grey space – who believed in peaceful methods, but who did not believe in the constitution”. But as the death toll and injuries have climbed, the PDP’s popularity seems to have declined. “Our worry is the people who have come back to the mainstream, who had developed a stake in the democratic system, they should not go back into the same whirlpool, from which their retrieval will become more difficult,” Akhter says.